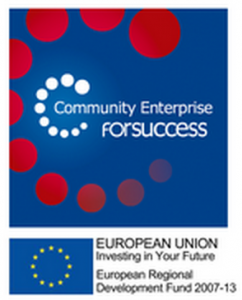 The Community Enterprise for Success programme, supported by Solihull Council, Greater Birmingham & Solihull LEP and part-financed by the European Regional Development Fund, ends on 31st March 2019. Over the course of 2.5 years, CEFS has provided business advice, consultancy and training to over 65 individuals from more than 50 organisations in the Borough to increase their sustainability through trading activity and is currently supporting a cohort of six social enterprise start-ups. Given the level of economic uncertainty, a similar package of enterprise support for VCSE organisations is not expected in the foreseeable future. We are therefore encouraging organisations to access the 12 hours of fully funded bespoke consultancy while it is available. We are accepting a final round of registrations which is open until 28th January 2019 from organisations who have not already received support. Please complete the attached form and email to info@disecic.org so that we can check your eligibility. We are also accepting expressions of interest from start-ups. If you are already on the programme, we advise you to note the timescales above and continue engagement with our advisers to progress agreed workplans. Development in Social Enterprise will continue to operate in Solihull and look at funding options to work with organisations who are unable to pay for our services. We hope the programme has had a positive impact for your organisation and we look forward to working with you in the future and wish you every success. The organisation must have been established and run by a group of people from a local (geographic) community for the benefit of that community. Information Sessions across the Midlands. A community owned chip shop? When you say it, it seems an obvious idea! Chelmsley Wood, in north Solihull, is about to have what they believe to be the country’s first community owned chippy. The partners emphasise that the chippy is a business, not a charitable project. ‘The only difference between us and the next business along is that a social enterprise is set up to reinvest its profit back into its community’, explains Dave Lane. ‘It is a business model, but the profits are locked in to guarantee community benefit.’ There is an emphasis on employing local people and using local supplies wherever possible, as well as the extra benefits to the local economy as money stays in the community rather than going to distant shareholders or centralised national offices. Olive Branch Kitchen just turn up and have a chat!